Hey, are you interested in learning how to make Pizza ? 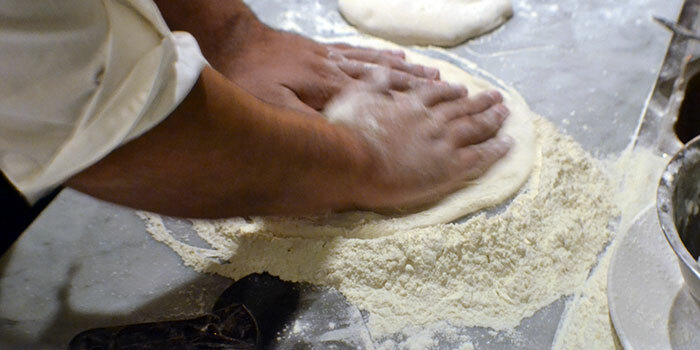 Nino’s 46 are working on a program to bring our customers an opportunity to learn all the pizza making skills you need. The Pizzaiolo at Nino’s46 has trained under a master of Pizza from Italy. You will have a chance to get hands on and messy in this class, while having a few glasses of red wine…And of course making your own pizza. The class will also give you a recipe guide to take home, along with our in house San Marzano tomato sauce and fresh dough from the morning. The classes will start sometime in early spring 2017. Please leave your info below if your interested.